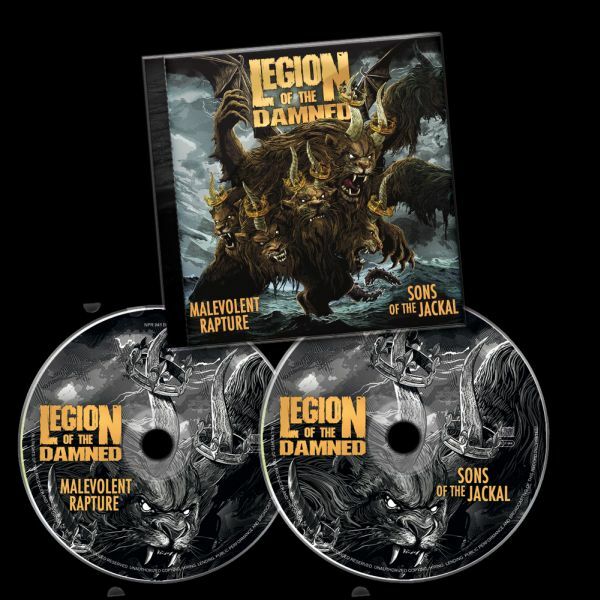 LEGION OF THE DAMNED - MALEVOLENT RAPTURE + SONS OF THE JACKAL (2CD) | Online Shop | Wizard LTD. Album: "MALEVOLENT RAPTURE + SONS OF THE JACKAL (2CD)"
The ideal moment to complete your Legion Of The Damned collection: In celebration of the bands 15th anniversary comes the reissue of Malevolent Rapture / Sons of the Jackal on a limited double disc set housed in a brilliant box – two absolute must-haves in the death / thrash metal genre! The legendary 2006 debut and its 2007 successor are filled to the brim with neckbreakers that still slay today.